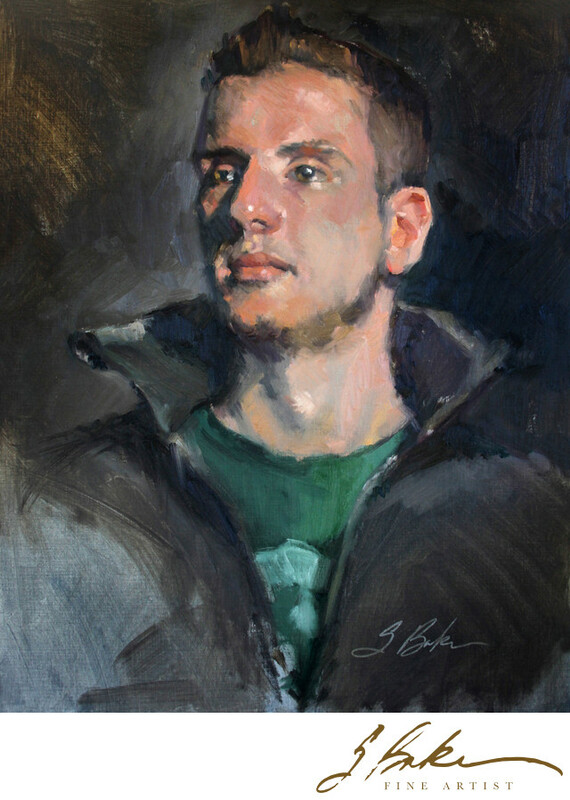 20 x 16", oil on linen, 2012. Sold. The subject in this painting is Alex. This painting represents a typical head and shoulders painting commission. A painting like this takes approximately three hours to complete with the model then, usually, some touch-up time in my studio to finish it out. The subject will sit for six, twenty-minute sessions with ten-minute breaks in between. These sittings are not quite as easy as they sound. Posing for twenty minutes without moving can be rather tough, but in the end the sitter usually enjoys the whole experience. I try to work from life as much as possible. The reason for this is that I can see much more color than the camera. Cameras tend to minimize values too.